This book is written in a Cookbook style and it offers learning through recipes with examples and illustrations. Each recipe contains step-by-step instructions about everything necessary to execute a particular task. The book is designed so that you can read it from start to end for beginners, or just open up any chapter and start following the recipes as a reference for advanced users.If you are a beginner or an intermediate user who wants to master the skill of quickly writing scripts to perform various tasks without reading the entire manual, this book is for you. 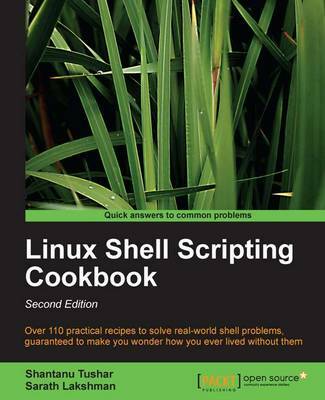 You can start writing scripts and one-liners by simply looking at the similar recipe and its descriptions without any working knowledge of shell scripting or Linux. Intermediate/advanced users as well as system administrators/ developers and programmers can use this book as a reference when they face problems while coding.